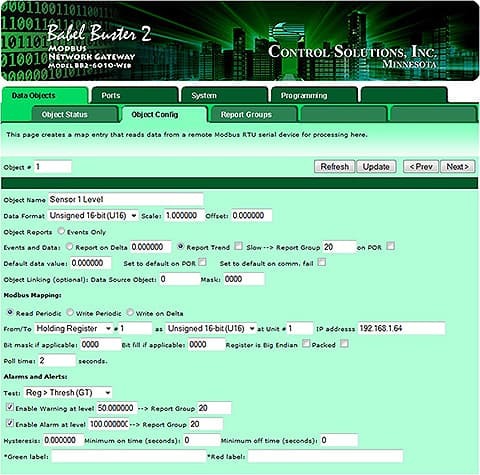 Control Solutions' Babel Buster BB2-6010-Web provides Internet based remote monitoring of one or more Modbus devices via the LogMyData® Cloud. The BB2-6010-Web is a special purpose Modbus gateway that emulates an i.Report using wired Internet instead of direct cellular service. Connect a BB2-6010-Web to the LogMyData® Cloud via wired Internet, or via a cellular router shared with IP cameras and other network devices. 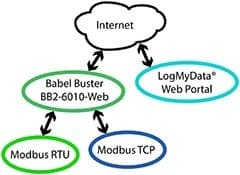 Babel Buster BB2-6010-Web is a special purpose Modbus gateway used to gather information from Modbus devices and send that data to the LogMyData® cloud. The LogMyData® cloud completes the overall mission by logging data for historical analysis and generating notifications of alarms sent to users via email, text message, or voice calls. 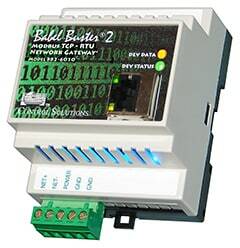 The BB2-6010-Web can operate as Modbus RTU master or slave, and Modbus TCP client and server. Up to 400 data objects can be configured as boolean, 16-bit or 32-bit integer, or IEEE 754 floating point. Each data object can be mapped to read any standard Modbus register from a Modbus slave when operating as master. As master, the BB2-6010-Web can address up to 240 RTU slaves, or 20 TCP devices. 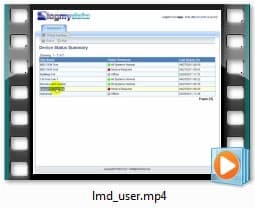 When operating as slave, any of the data objects can be accessed by other Modbus masters (RTU or TCP) as any type of Modbus register. Each data object can have single or dual level alarm thresholds assigned. Alarms can optionally have hysteresis and minimum times associated with them. Upon being triggered, the alarm will report immediately to the web portal for notification of users. The BB2-6010-Web also includes Script Basic built in allowing user programmed applications to operate locally within the device. The user programs may be used for local data analysis and processing, or supervisory control. Script Basic can read and write any of the data objects in the system, and therefore Script Basic can, under program control, generate alarm notifications. Modbus RTU can be disabled, allowing the communications port to be entirely under control of Script Basic. This allows the BB2-6010-Web to be used to communicate with proprietary serial devices, providing all of the data logging and alarm notification capabilities otherwise assocaited with Modbus RTU. 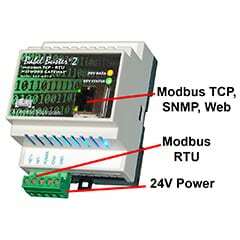 Modbus TCP remains active when the serial port is used for proprietary serial communication. 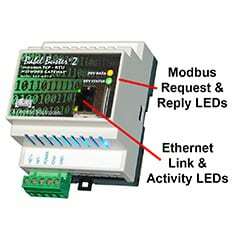 Many applications will only require Modbus communication. If your application needs local I/O, the ValuPoint I/O devices can be used to replicate the I/O found on the wireless devices such as the VP3-2290. The VP4-0610 provides an economical local I/O device that comes in handy when you need just a few extra I/O points. The VP4-2310 can be used when more points are needed. Any of the ValuPoint Modbus I/O devices can be connected as slave I/O for the BB2-6010-Web. Pre-configuration of the gateway is done via the web pages served by the internal web server. The user simply fills in templates. 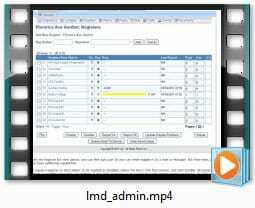 The entire configuration is saved in the internal Flash file system in XML format. This file may be exported to upload to the web portal. Once the BB2-6010-Web is online “live”, configuration is done remotely via the web portal. Click the link below to view a demo copy of the entire Web UI in the BB2-6010-Web. 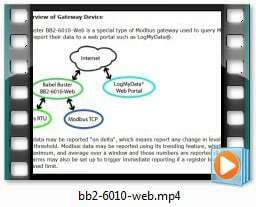 Watch these videos for an introduction to the web portal and the BB2-6010-Web device. It's easier than reading!